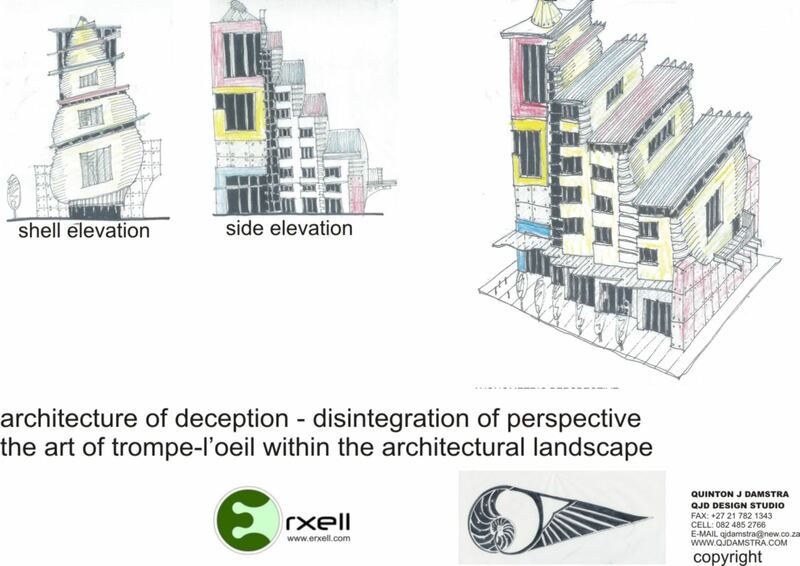 To create architecture that create an illusion to the eye - a disintegration of perspective, a deception of vista or a perceived kinetic architectural masterpiece. this dynamic Africanised fauvistic architectural ideal can be applied to art and design. This exploration of wildetect ideals is intriguing. 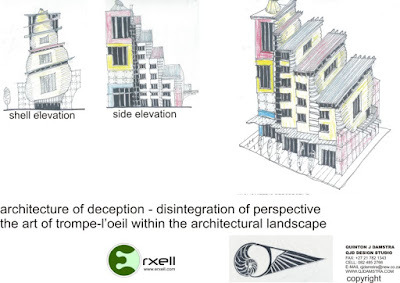 a sculpted shell building from 1 perspective and then appearing to disappear depending on your vantage point into a cascading fluted building from any other vantage point. a very exciting point of architectural design departure. this concept encapsulates the wildetecture concept currently being explored. the concept of wild african fauvistic architecture that only the African continent can dare to apologetically unleash on the world.